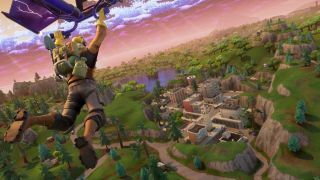 We imagine Fortnite developer Epic Games had a pinky raised against its lips when it announced that it’s going to pump $100 million into a series of Fortnite eSports prize pools this year. If you’re wondering why you haven’t seen many official Fortnite competitions around, however, that’s because they’re not really slated to start until sometime later this year. It’s not entirely clear at the moment what the competitions will look like but Epic has said it’s planning to take a “different” approach to competitive play and “be more inclusive, and focused on the joy of playing and watching the game". There will be more details on the structure of Fortnite eSports in the coming weeks but we think it’s safe to say there’s going to be some interest in what is now one of the most financially attractive eSports in the world. It’s a large sum of money for any competition, never mind on in its inaugural year. And, as is Fortnite’s stratospheric habit, this puts the battle royale game in the upper echelons of the eSports world as far as prize money is concerned. Epic will no doubt get its eSports venture off to an auspicious start with its celebrities and streamers tournament taking place at E3 in June.